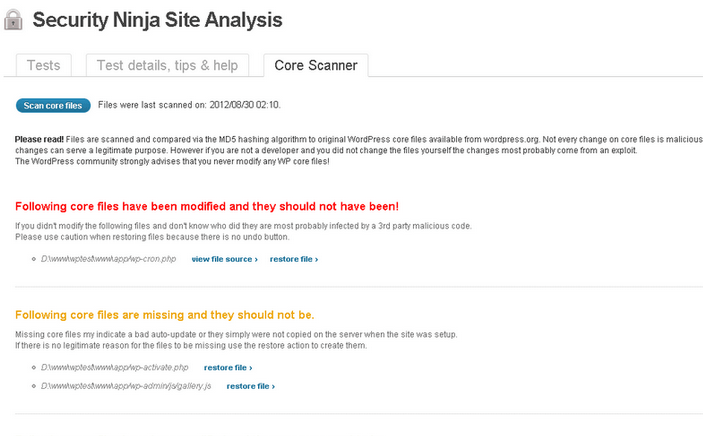 Core Scanner: lets you scan WP core files and identify problematic ones. It can restore modified files fast. It shows files that are modified that should not have been and more. 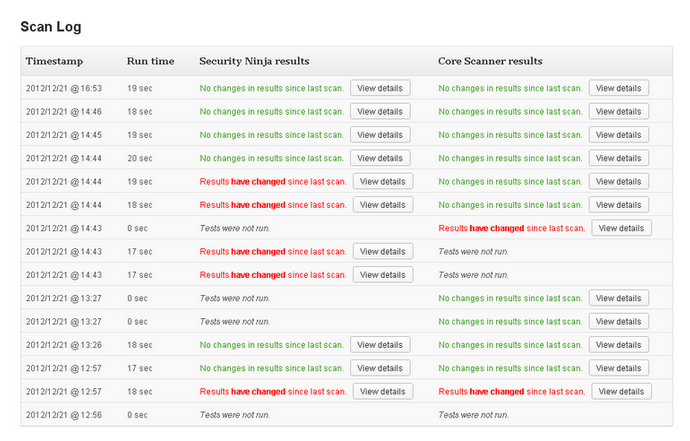 Scheduled Scanner: performs automated scans and send you reports via e-mail. It alerts you when your site has been compromised. 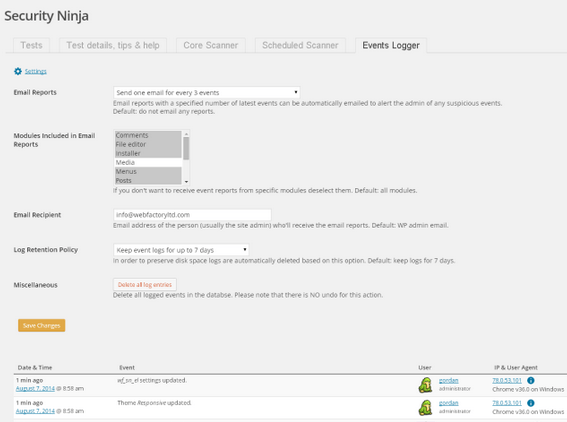 Events Logger add-on: monitors, logs, and reports events on your site, so you can identify issues before they become a big headache. You receive email alerts for your chosen events. Lets you know “what happened when” on your site. There are plenty of free plugins that offer a similar set of features. At the end of the day, you should use the tools that you feel comfortable with and deliver what you need. Thanks to the WordPress community, you have plenty of options to choose from.